Wanted: we are always looking for flight helmets and oxygen masks. Especially in HGU-55/P flight helmets and MBU-20/P oxygen masks. 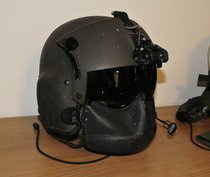 If you have a flight helmet collection and you do like to sell this, please do let us know.